Besides the 24 Hours of the Nurburgring, there was a lot of GT racing in the States, Europe and Australia. Australian GT held three races at Phillip Island, while the Pirelli World Challenge raced twice at Lime Rock Park. 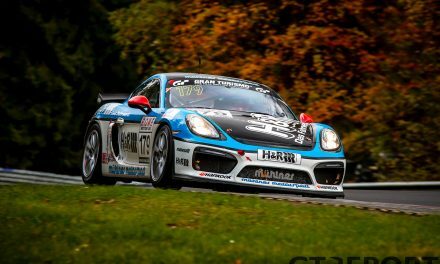 British GT had a round at Oulton Park and the Italian GT went to Imola for two races. 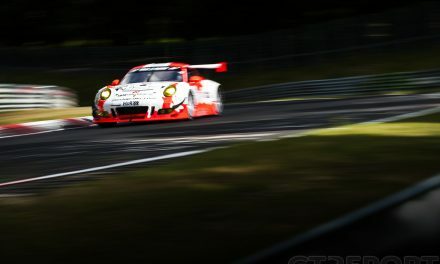 Dramatic scenes at the Nürburgring during the annual 24 hour-race. The weather decided to play a massive role on Saturday with rain, hail and snow, causing a red flag. The closing stages on Sunday proved to be dramatic as well, with the number 4 Black Falcon Mercedes-AMG GT3 of Maro Engel, Adam Christodoulou, Bernd Schneider and Manuel Metzger taking the win away from fellow AMG competitors HTP Motorsport during the last lap. Christian Hohenadel, Renger van der Zande, Christian Vietoris and Marco Seefried were the unlucky ones to be relegated to second in the number 29 HTP Motorsport Mercedes-AMG GT3, while the number 88 Haribo Racing AMG of Uwe Alzen, Lance David Arnold, Maximilian Götz and Jan Seyffarth finished third after having led much of the evening, night and morning. The pit stops were an important factor during the first race of the British GT Championship at Oulton Park. The small pit lane caused a traffic jam for a lot of the drivers who pitted on the same lap. 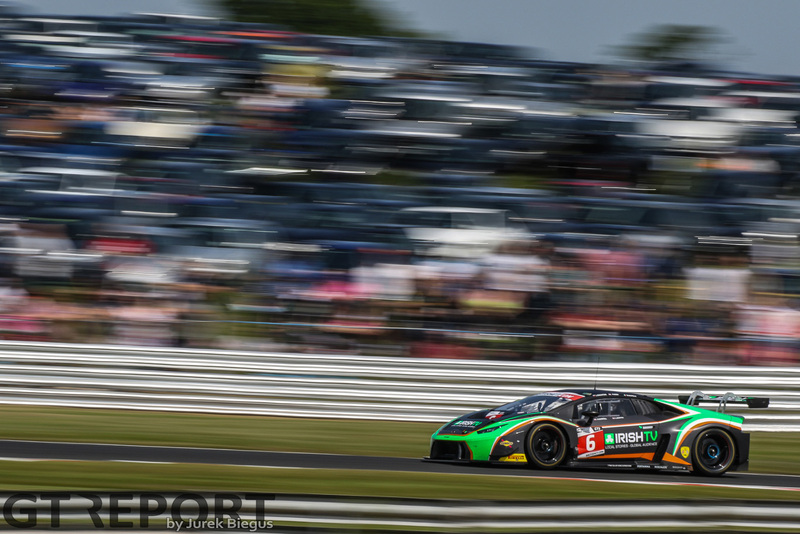 Liam Griffin and Adam Carroll pitted in another lap, took the lead and won the race in the number 6 Barwell Motorsport Lamborghini Huracán GT3. Second place was taken by the number 7 AMDtuning.com BMW Z4 GT3 of Lee Mowle and Joe Osborne, making the most of the pits situation as well. Rick Parfitt and Seb Morris weren’t that lucky in pit lane, but finished in third with the number 31 Team Parker Racing Bentley Continental GT3. Revenge was sweet for Rick Parfitt and Seb Morris. The drivers of the Parker Bentley started from pole and drove off to a dominant win in the second race at Oulton Park. The number 79 Black Bull Ecurie Ecosse McLaren 650S GT3 of Alasdair McCaig and Rob Bell finished in second, but were more than ten seconds behind Parfitt and Morris. Third place was taken by the Barwell Lamborghini of Jon Minshaw and Phil Keen. Andrew Palmer secured pole position at Lime Rock Park in his number 87 Team Absolute Bentley Continental GT3, but he lost the lead after ten minutes. Álvaro Parente was quicker in his number 9 K-Pax Racing McLaren 650S GT3 and drove off to win the first race. Palmer couldn’t hold on to second: a mistake send him back to fifth place. Kyle Marcelli made the most of that given opportunity to take second in his number 2 CRP Racing AudiR8 LMS GT3, ahead of the winner of the last two races. However, Patrick Long got a penalty in the number 58 Wright Motorsport Porsche 991 GT3R, handing third to the number 3 Cadillac Racing Cadillac of Johnny O’Connell. A massive incident in the warm up sent polesitter Andrew Palmer to the hospital with severe injuries to his head. Álvaro Parente inherited the pole in his K-Pax McLaren, started well and won his second race in as many days. Patrick Long was a solid second in his number 59 Porsche. The battle for the last podium place was a lot more exciting with Ryan Eversley, Kyle Marcelli and Johnny O’Connell all going for it. Marcelli proved to be the quickest of them in the CRP Audi, grabbing his second podium in two races at Lime Rock Park. The first race of the Australian GT round at Phillip Island belonged to the Australian GT Championship. The race was surprisingly won by the number 60 Tekno Autosports McLaren 650S GT3 of Nathan Morcom, who started from last position. A strong opening stint saw him in tenth when a safety car came out, exactly at the right moment for Morcom. He fought his way past the number 777 The Bend Motor Sport Park Lamborghini Gallardo R-EX GT3 of Yasser Shahin and the number 11 Objective Racing McLaren 650S GT3 of Tony Walls to secure the win. Shahin finished in second, Walls took third place. The weekend even got better for Yasser Shahin. After finishing second in the first race, the Lamborghini driver won the second race of the Australian GT Championship at Phillip Island. After the pit stops, Shahin was behind the number 48 M Motorsport Lamborghini Gallardo R-EX GT3 of Glen Wood and Justin McMillan, but he passed them pretty easily. Garth Tander and Steve McLaughlan did the same in the number 2 Jamec Pam Racing Audi and came incredibly close to the Lamborghini of Shahin, but he was able to hold Tander off. The third race counted towards the new Australian Endurance Championship and the race meant some more success for Nathan Morcom. After winning the first race in the number 60 Tekno McLaren, he did the same in the third race. This time he drove the number 59 Tekno Autosports McLaren and got help from Grant Denyer to win the 101 lap race. 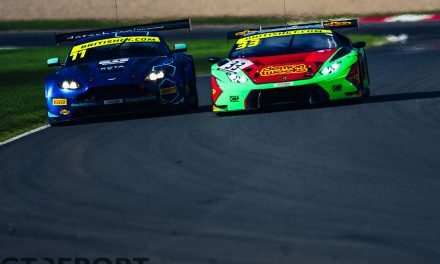 The number 37 Darrell Lea McLaren 650S GT3 started from pole, dropped far back, but Shane van Gisbergen and Klark Quinn still secured second in the end, ahead of the number 63 Eggleston Motorsport Mercedes-AMG GT3 of Dom Storey and Peter Hackett. A dominant performance by Imperial Racing was the headline of the first race of the Italian GT Championship at Imola. The number 16 Imperial Racing Lamborghini Huracán GT3 of Jeroen Mul and Mirko Bortolotti started from pole and won the race, ahead of their team mates Stefano Pezzucchi and Giovanni Venturini in the number 32. Pezzucchi and Venturini, however, were excluded after the race, handing second to the number 8 Audi Sport Italia Audi R8 LMS GT3 of Marco Mapelli and Filipe Albuquerque. The number 7 Solaris Motorsport Aston Martin Vantage GT3 of Francesco Sini and Massimiliano Mugelli was promoted to third. The second race started hours later than expected, as heavy rain made the track undriveable. 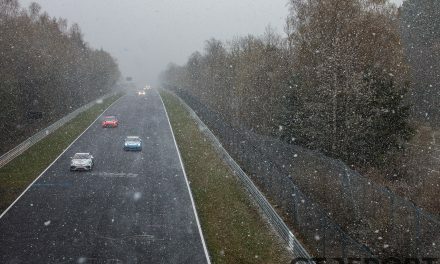 From the moment the race started, the conditions didn’t improve and became even worse. After eleven laps, the red flag came out to end the race, with the Audi Sport Italia Audi R8 of Mapelli and Albuquerque as winners. Stefano Pezzucchi and Giovanni Venturini were a surprising second in the Imperial Lamborghini, ahead of the number 23 Antonelli Motorsport Lamborghini Huracán GT3 of Alberto di Folco and Riccardo Agostini.